Home » Athletes » Featured Athletes of the week Carbone and Murdock from Exeter. Featured Athletes of the week Carbone and Murdock from Exeter. Justin may very well be the best male athlete that I have had the honor to coach. 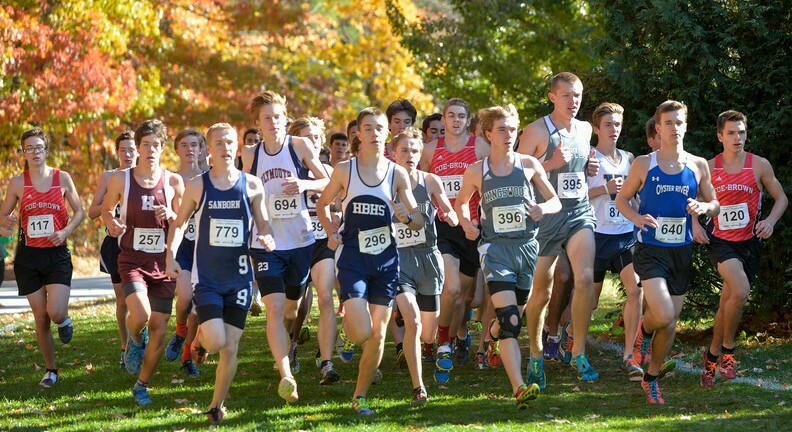 Others include Tony Truax of Dover (State Champion in XC, Footlocker Finalist in 2001, and a UNH graduate), and Elliot Henry of Exeter (800M State Champion and a Dartmouth graduate). Justin is exceptional in his preparation for both academics and athletics! He researches everything that there is to know about the sport, and is always well prepared for his competition. He is a great team leader, very cooperative, and well liked by all that he comes in contact with. He has a bright running career ahead. Ranked near the top of his class with straight A’s, he strives for excellence in everything that he is engaged in. Shannon is an exceptional athlete, team captain, and person. Shannon is one of the best female athletes that I have had the privilege of working with (including such greats as Cathy (Schiro)O’Brien of Dover, Anne Twombly of Exeter, and Kelsey Smith of Exeter. Shannon is a pleasure to coach: always cooperative, pleasant, and caring for others. She has a great personality, and always is well received by teammates, and opposing coaches and athletes alike. This senior scholar-athlete will be truly missed next year. She represents the best of what NH Cross Country athletes have to offer. Toughest Course in NH! Hanover Submission!